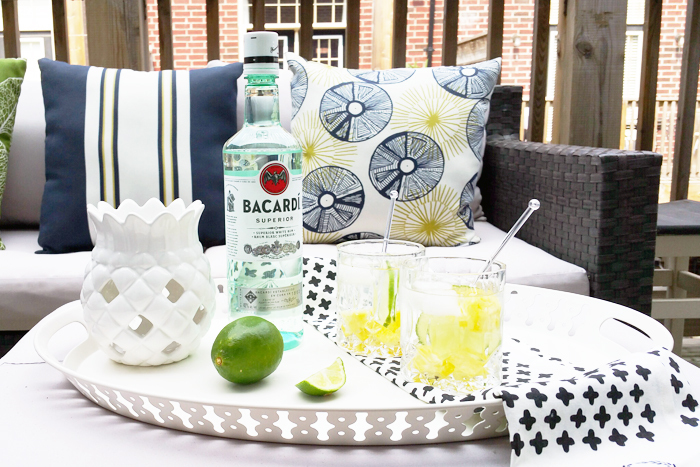 Throwing a summer soiree this weekend or headed up to the cottage?! 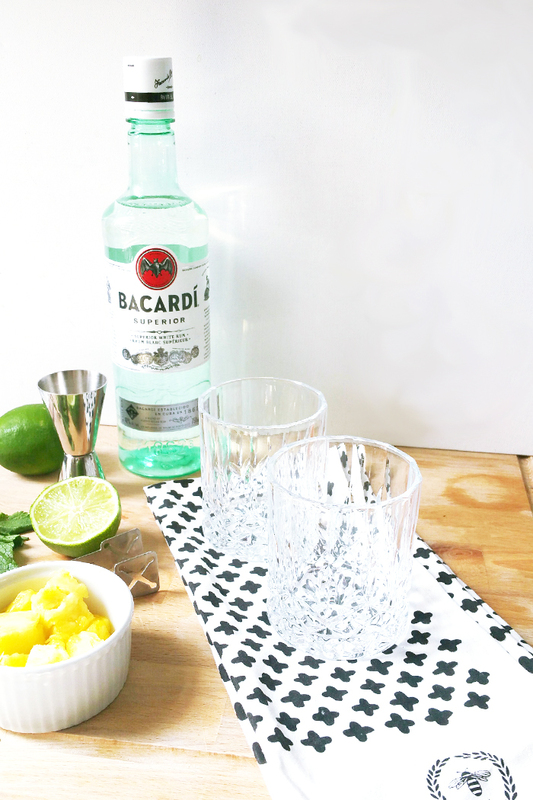 I’ve got a simple yet delicious BACARDÍ Pineapple Mojito recipe to get your geared up for some summer time fun! I LOVE mojitos, it’s definitely by far my favourite drink of choice. I love the taste of fresh mint and lime. 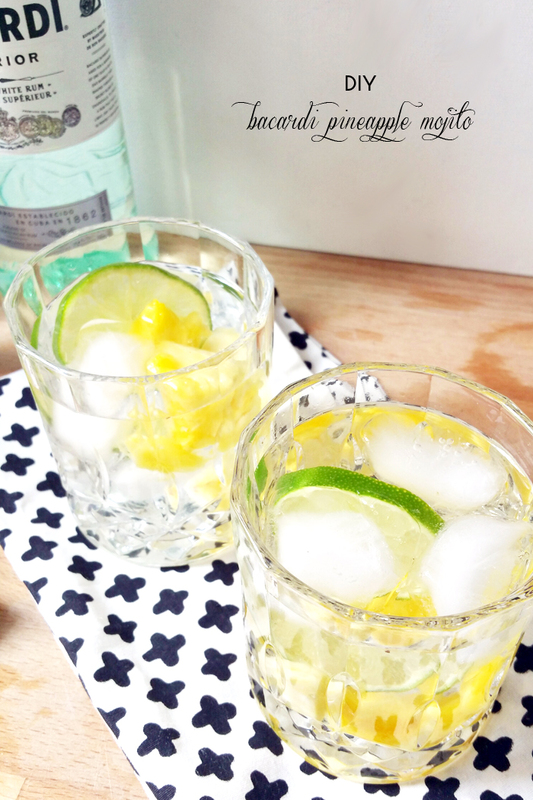 To add an extra kick to the already delicious BACARDÍ mojito, I added some fresh pineapples to my version. I hope you’ll enjoy my last pineapple inspired recipe, for more pineapple goodness, see DIY Pineapple Split and DIY Pineapple Banana Mint Smoothie! Gently press together the limes & sugar. Bruise the mint leaves byclapping them between your palms, rub them on the rim of the glass and drop them in. Next, half fill the glass with crushed ice, add the BACARDÍ Superior rum & stir. 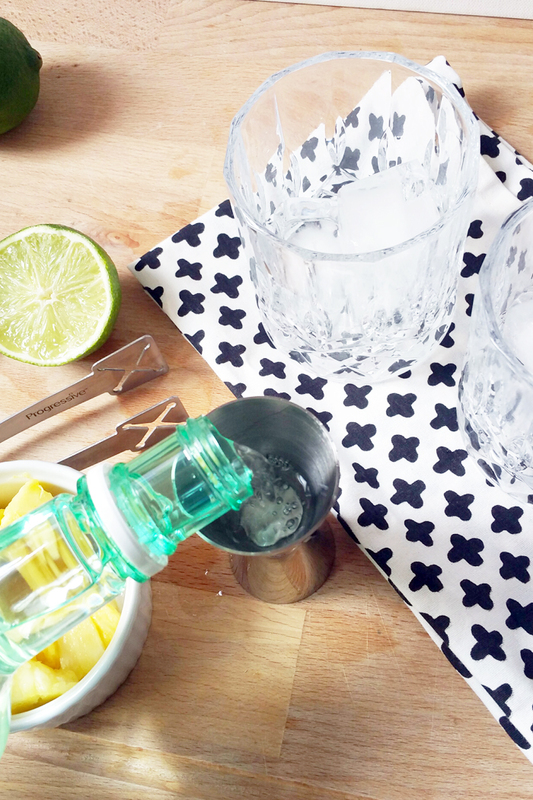 Top up with crushed ice, a splash of soda and a sprig of mint. 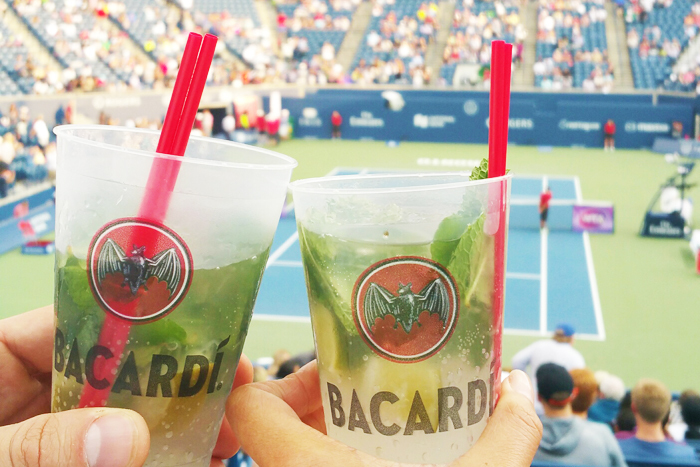 I want to extend a special thanks to my friends at BACARDÍ set Kyle and I up at the Rogers Cup last night where we got to sample some amazing BACARDÍ cocktails and we got to watch Serena Williams win last night’s match! 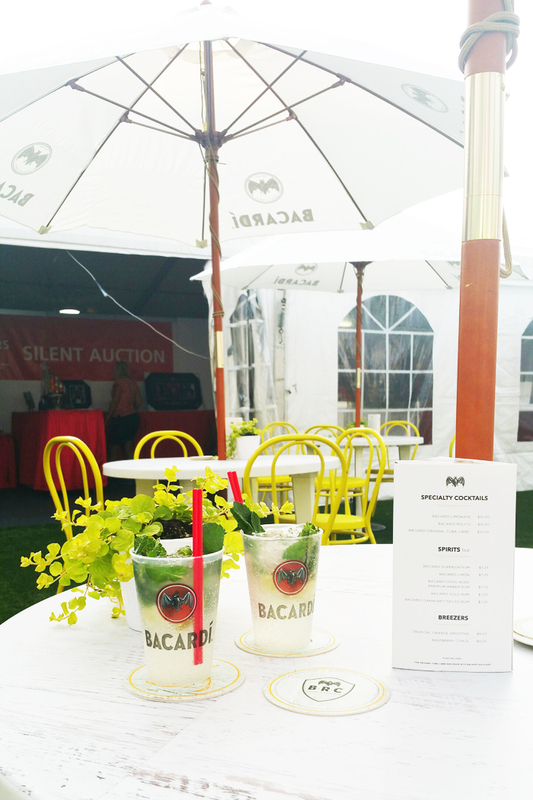 Make sure you stop by the BACARDÍ Racquet Club to ensure a few cocktails if you’re heading to watch the finals this weekend! Thanks Kayla! 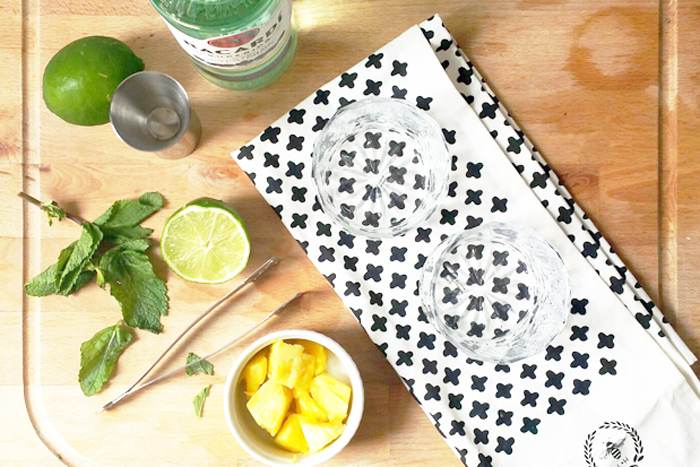 Yes, Mojitos are delicious especially with some fruit infusion!